As a writer, it’s only natural that I pay attention to the mechanics of my craft, which is why I’m always on the lookout for new and useful writing resources. When I discovered the Grammar Girl podcast, my interest in grammar piqued, and I started writing more consciously than ever before. Sure, I still break the rules of grammar now and then. That’s what creative writing is all about, right? But if you don’t know the rules, then you shouldn’t break them — otherwise your writing will come off as amateurish. Good news: Grammar Girl has a few resources that will fine-tune your grammar skills quickly and easily while rounding out your personal collection of writing resources. Grammar Girl provides short, useful tips on grammar that are easy to remember and easy to put into practice. Her tips are available in audio format as a podcast, in text format on her blog, and as a full-length, comprehensive book that is informative and fun to read. Her podcast has received much critical acclaim. In fact, Grammar Girl has appeared (or been mentioned) on The Oprah Winfrey Show, The New York Times, and USA Today, to name a few. In fact, Grammar Girl is highly credited with sparking a fresh interest in grammar throughout our culture. Each episode of Grammar Girl is available in both audio and text format. You can subscribe to the podcast, or you can access the audio and text versions through her website. New installments are produced each week and each one lasts about five minutes or less. You’ll gain a wealth of information in that small amount of time. No matter how acute your grammar skills are, they’ll become even sharper! Visit Grammar Girl’s website for more details. Grammar Girl’s expertise is also available in a full-length book, which is available in paperback and e-book. 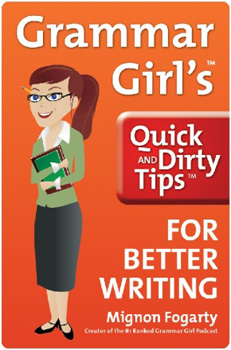 Grammar Girl’s Quick and Dirty Tips for Better Writing impressed me because it’s a book that you can read and enjoy. A lot of grammar and style guides are designed as reference material. You crack them open when you need to look up something specific. Grammar Girl’s book reads comfortably from cover to cover. She has a casual and friendly voice, and the book is packed with fun tips and mnemonic devices to help you remember the rules. Another thing I love about the book is that it’s for general usage. Grammar Girl lets you know when something is a rule and when it’s a style issue. She also provides her own style preferences and supports them with logical reasons. I found her positions on style agreeable and well explained. The book appears to be, at least in part, a composite of her podcasts and blog posts. As much as I’ve loved her podcast and blog for the past few years, it sure is nice having it all in one convenient package. I especially love the Kindle format because it’s searchable. There is also an extensive index, so you can get quick answers to your most pressing grammar questions. Best of all, Grammar Girl is perfect for creative writers because she’s not a grammar snob. She keeps it casual and lets you know when you should stick to the traditional rules in formal situations and when you can relax and go with common usage. The book starts out with a bunch of short and fast tips. You could easily read through a few pages a day and learn several new grammar rules per session. When you’re warmed up, the book delves into deeper and more complex issues before shifting into proofreading tips and advice for coming up with writing ideas. There is an entire section devoted to Internet- and tech-speak. 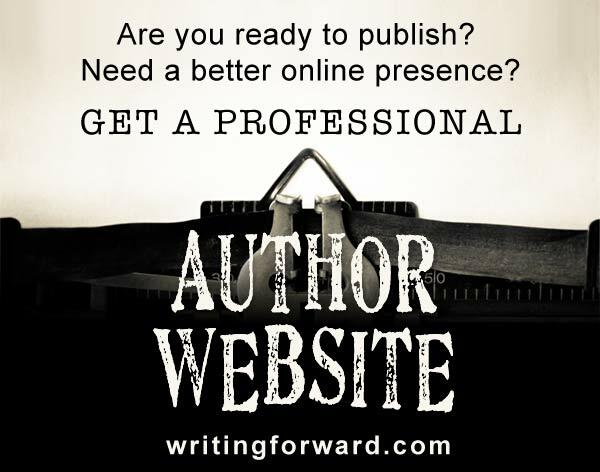 It includes a list suggestions for additional grammar, style, and other writing resources. Grammar Girl offers practical solutions for common problems and scenarios that writers face every day. The book includes information about every aspect of grammar from homophones and punctuation marks to dangling prepositions (it’s okay to dangle!) and split infinitives (it’s also okay to boldly go somewhere!). If you’re a new or beginning writer, this book will give you a solid foundation in the rules of grammar and sentence structure. If you’re an experienced writer who knows the rules (or most of them), the book works as an awesome refresher course. Plus it encourages you to think more clearly and carefully about how you construct your writing. Mignon Fogarty is the creator and voice behind Grammar Girl. She is also the founder of Quick and Dirty Tips. Mignon has written for magazines, worked as a technical writer, and is an entrepreneur. Much of her writing experience is in the fields of health and science. She holds a BA in English from the University of Washington and an MS in biology from Stanford. Since discovering Grammar Girl, I’ve acquired plenty of fresh knowledge about grammar, some of which I’ve shared here in the Writing Forward grammar posts. Whenever I listen to her podcast, scan her blog, or read her book, I always pick up new insight into grammar and writing. I can’t recommend Grammar Girl enough. 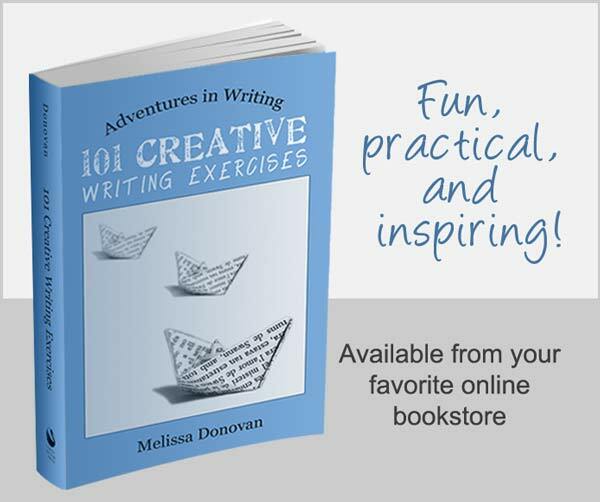 Creative writers definitely need to add this one to their libraries and writing resources! Do you already listen to Grammar Girl or do you have any other writerly podcasts or writing resources that you’d recommend? Leave a comment and let us know! Thanks! I agree — Grammar Girl is an excellent resource. I didn’t mention the search engine because they are pretty standard on most information websites these days. It definitely provides an easy way to find specific information. One of my favorite writing podcasts is Beautiful Writers. I’m always up for a good podcast. They are convenient and I can listen on-the-go. I’m always on the hunt for new podcasts. Thanks for sharing this one!